4 New Marvel Adult Animated Series Coming to Hulu | Nerd Much? With Disney and Netflix seemingly parting ways following the official cancelation of Daredevil, Luke Cage, and Iron Fist, the former needed a new home for its many characters not currently in the spotlight of the Marvel Cinematic Universe. And with the success found in Marvel’s Runaways, Disney has decide to expand the Hulu roster. 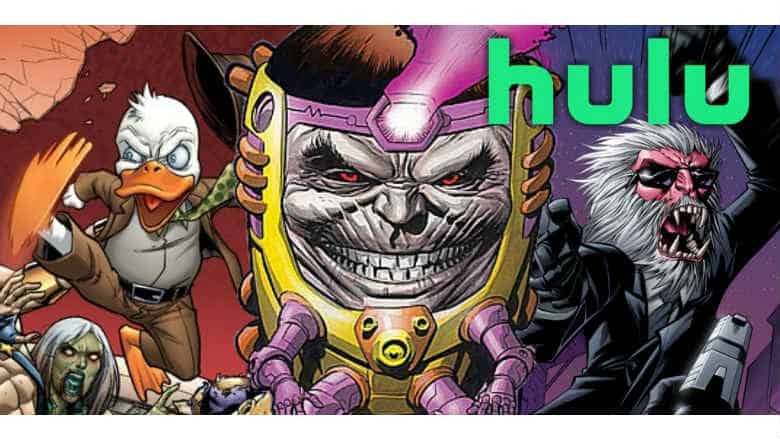 During the Television Critics Association’s Winter Press Tour, Hulu has announced 4 new Marvel adult animated series are headed to their platform. And the quartet will conclude with a Marvel’s The Offenders special. Marvel television producer Jeph Loeb will executive produce the M.O.D.O.K. series alongside the show’s writing team of Jordan Blum and Patton Oswalt. The duo will also serve as executive producers as well. With names attached to these projects such as Patton Oswalt, Chelsea Handler and Kevin Smith, you know that these adult animated Marvel series are going to be packed with plenty of mature comedic beats. There’s no timetable on production schedules, but with the creative teams set, hopefully the ball will begin rolling toward Hulu’s impressive animated slate.